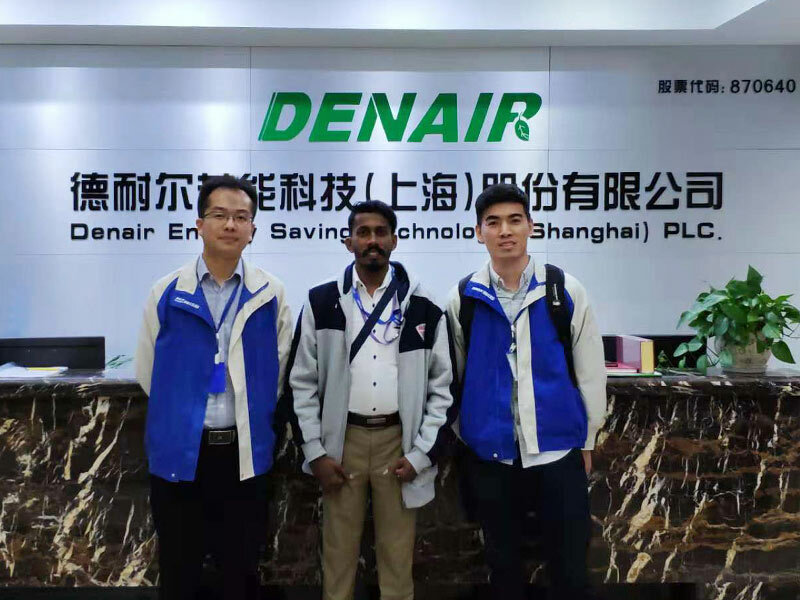 As one of the leading air compressor manufacturer in China, and with a number of distributors in 50 countries, it will be DENAIR’s responsibility to conduct regularly training on technical and services in our factory, in the meantime it is also one method to build a tight relationship by knowing each other. Training product: Oil injected air compressor. 1, Trouble shooting analyze, solutions on every possible cause to the problem, main parts failure and trouble shooting. 2, To check on site for every single compressor and components for trouble shooting issues. 1, PLC controller operating,checking and setting both for DENAIR control panel and CMC Control Panel. Acknowledge and further understanding on oil free air compressor (dry type oil free, water lubricated type oil free, scroll type oil free), diesel portable air compressor, high pressure and low pressure air compressor, 2 compressor stage energy saving compressor. Welcome more customer to visit in DENAIR.